THE SPOTTED HARE: What fun! in the current issue of "Mingle" magazine. is hosted by myself and Rebekah L. Smith. friendship and laughter in beautiful Ohio? This years workshops will be posted on January 28th. at 12 noon EST. 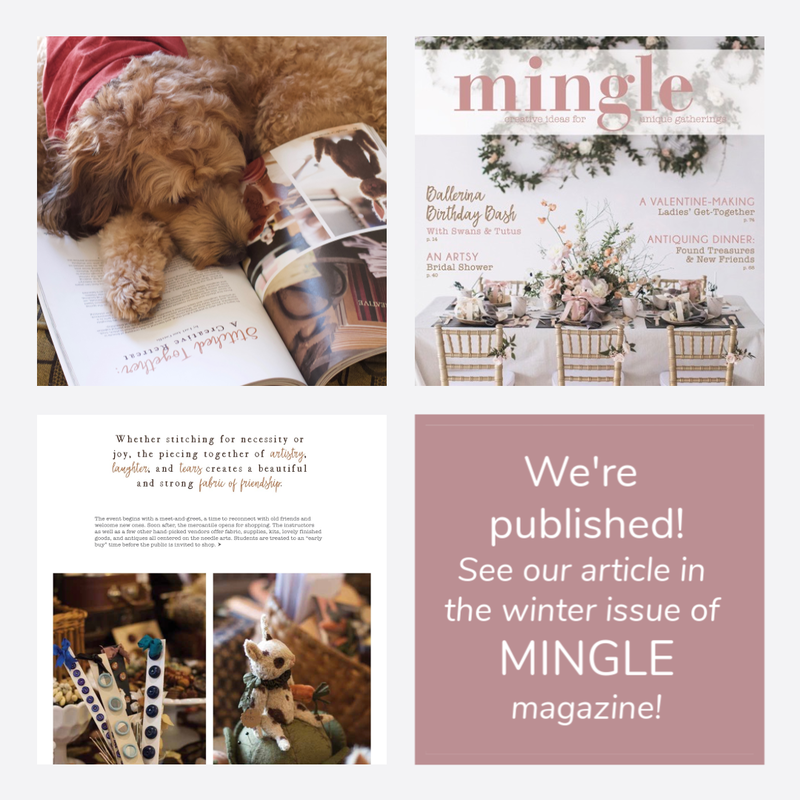 I love mingle magazine.I'm sure I'll smile when I notice your special article. Congrats! Love the article and your article in Simply Vintage.....so inspiring, Lori! One day I hope to take a class from you!